-Sevim Ads ready Blogger Template. - sevim Template is one column Templates. 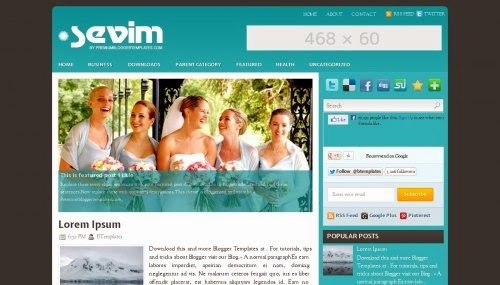 - sevim is business,professional Templates. - sevim having a in-built social networking bookmarks. -this template also ads ready templates so it is more applicable for place a adsence ads. -> if you have any kind of problem then imediatly comment below.